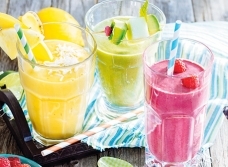 With more access to fresh fruit and ingredients like avocado and chia seeds, these three updated smoothies are ready and refreshing. 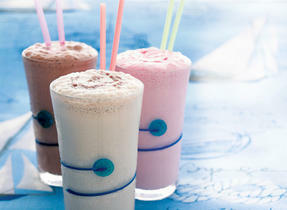 Sometimes our smoothie routine needs a change and this is it. In a blender, combine fruit, milk and ginger. Purée until smooth. Add lime juice to taste and vanilla. Purée. Pour into 2 glasses; sprinkle with coconut. In a blender, combine melon, avocado, milk and mint. Purée until smooth. Add lemon juice and honey, if melon is not super sweet. Pour into 2 glasses. In a blender combine fruit, milk, yogurt and chia. Purée until smooth. 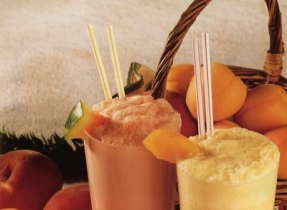 If using frozen fruit, you may need to thin with more milk or with orange juice. Pour into 2 glasses. 109 people love this recipe.